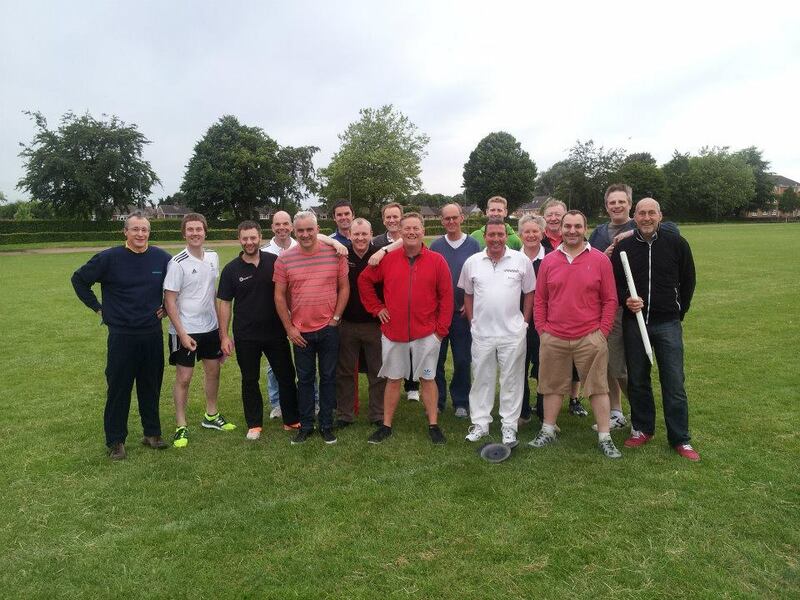 After a number of venue changes and appeals for cricket equipment we finally all descended on the playing fields at Graham Balfour School for the annual sporting challenge. We were met by the sight of the President of Round Table in full cricket whites, which was an indication of how seriously they intended to take it. 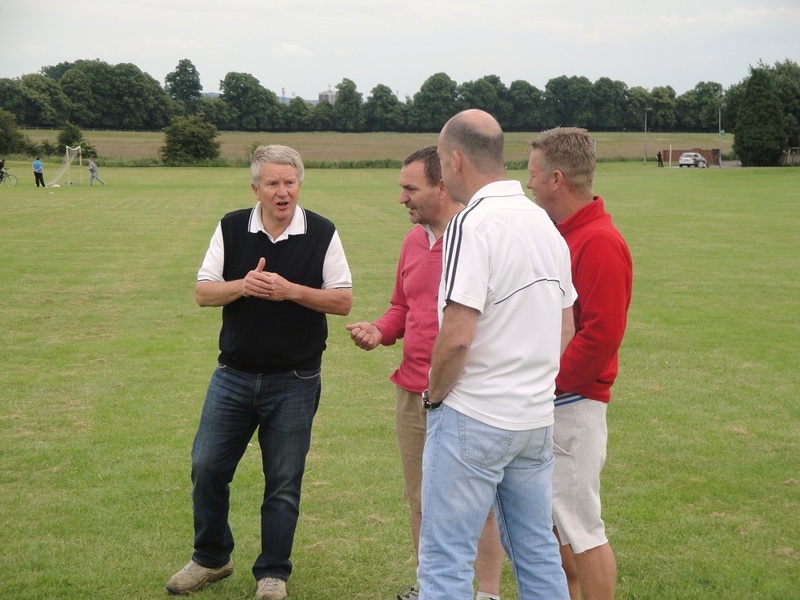 The game was to be played on a matted wicket which had no bounce and was in the middle of a huge field. Have they lost the toss or the coin? Now in cricket it is not unusual to change the ball, but not three times before the game has started. Some gentle practice showed that it would be a bit dangerous playing with a cricket ball with no protective equipment, so we tried a softer ball this did not bounce. The final decision was to play with a tennis ball, but the distance this could be hit was limited given the players skill and the long grass. The rules were each team of nine started with 200 runs and lost 5 runs for every wicket that fell, every run scored added to the team total each pair of batsmen had two overs. 41 Club won the toss and decided to bat in the hope it would get dark early, and our bowlers would reek havoc in the gloom. Nick suggested we should declare immediately to preserve our 200 runs. This was ignored and we began our innings, progress was slow but consistent, with runs coming but wickets also being taken. 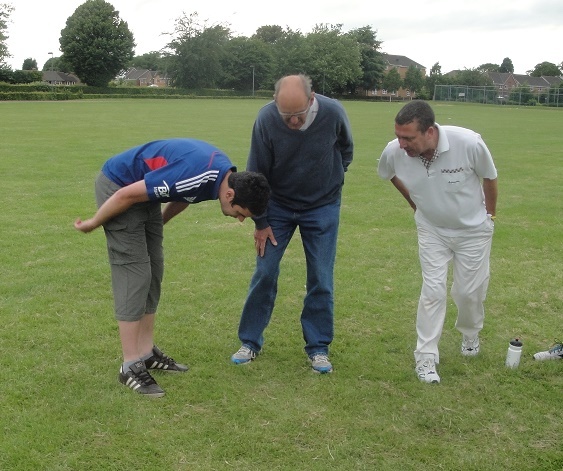 The fielding generally was of an unusual standard. 41 Club’s innings closed at 224 which I did not think would be sufficient. Round Tables innings began at a tremendous pace, with our advancing years being shown up by the speed of the opening pair between the wickets. Generally our bowling seemed to be of a higher standard and we began to claw our way back into the game as their lesser batsmen came to the wicket. It was at this stage that the secret weapon that is Mark Maguire, a late addition to the squad, came to the fore and bowled a tidy spell to seal the game. 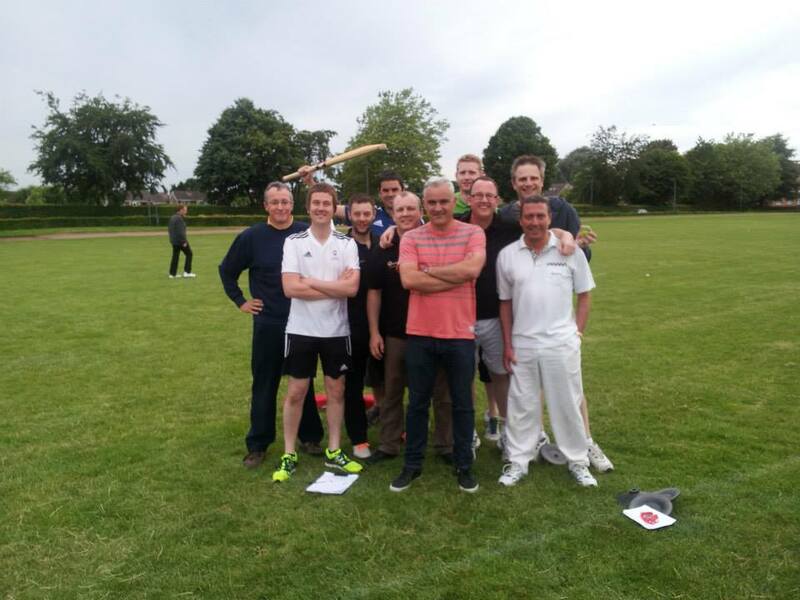 41 Club won the game by two runs, and therefore retained the Trophy which would have been presented if Jim had remembered to bring it. 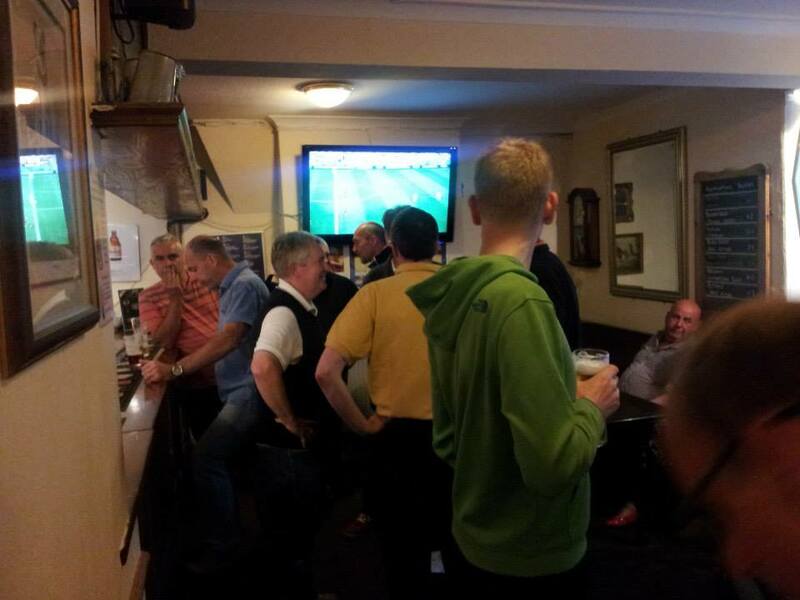 Both teams then spent the rest of a very enjoyable evening re living the action in the Greyhound. 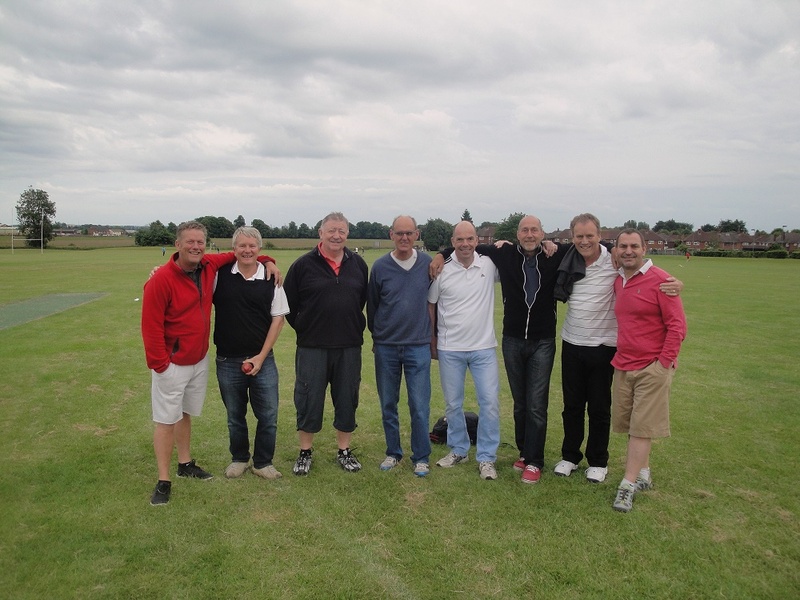 Many thanks to Sean and the boys for organising a very enjoyable evening. It proves that experience can count more than youthful vigour – Ed.